Hostinger, now offers cheap SSL certificates for a lifetime. It’s worth to check this offer, if you are serious about the protection of your website and don’t want to deal with tricky SSL installation and setup. Thank you for this awesome guide. It was very helpful. I was just wondering if there’s a way to create a certificate for subdomains of my website as well, or do I have to create a separate certificate for each? I am glad this tutorial helped you. 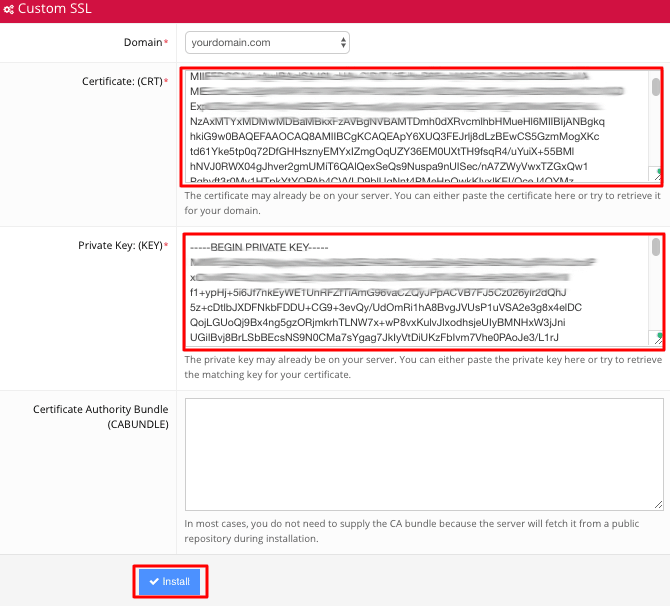 If you want to use let’s encrypt on subdomains, you will have to install a different certificate for each subdomain. This means that you will have to repeat installation process for each subdomain. Have you tried to clear you browser cache? I just checked and blog.hackerrahul.com displays a green pad lock for me which means connection is encrypted on your blog subdomain. Brilliant Guide! Thank you so much for this, it took a couple of goes, and it may need updating as I got a couple of errors, but it worked fine overall. Any ideas on creating an automated version, maybe with a cron trigger? I say this as letsencrypt only lasts 90 days, and they advise to configure scripting to do this for you? would renew the certificate automatically. Probably try giving absolute path to acme-client, or launch it from its bin directory. Then as well have you changed yourdomain.com:www.yourdomain.com to you personal domain accordingly? As well is this: /home/x123011738/public_html your website path? Use pwd command to check your absolute path. Hey, this thing: Connect to your hosting account using SSH information from Step 1.3. In our example, it would be: ssh x123011738@31.170.164.22 -p 65002. I connect to that, just chaning my IP. : ssh x123011738@MYIP -p 65002. And it gives a password, but it says its wrong even though its not? What should I specify in place of x123011738!? pwd to check your absolute path on linux. Great topic! I have a question – is it possible to use free SSL for subdomains if I use CLOUDFLARE, my subdomain is added via A record? ssh shows me php issue 203 and notice: couldn’t resolve the following domains to an IPv4 nor IPv6 record…. anybody now how to fix it? Thank you for this useful guide. Works like a charm for me. Just a question, after renewing Let’s Encrypt SSL, is there a way to automate the installation of the new certificate on the web server? Seems like you already installed SSL certificate. Sometimes when you have installed for the main domain but not installed for sub-domains and now you like to install on other domains or the main domain again. In this case while verifying the payload it forces via https but it should be load via http to be verified. But when you try opening http it forces to http and it becomes impossible to verify. Solution: Delete the Certificate via Hostinger members area and try running the command again. 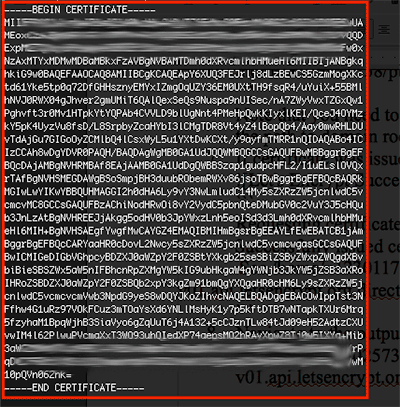 And now after verification install the certificates via same member area. Same problem here! did you find out what to do? Great tutorial, everything work fine! Thanks! Thank you for this really good guide. Do you get any errors? If so, please provide exact error message here. I made a script that will automate this for you, mostly . . .
Hello! I have an issue with SSL, I’ve programmed a CronJob in my hostinger panel, but the certificate didn’t renew automatically, so now my site is an insecure site. I’ve tried as well to delete the certs but I couldn’t. I don’t know what to do now because I can’t install a new certificate in my site. I need your help or if hostinger have spanish support to install SSL and renew them or delete. I hope I’ve been explained. Greetings! After completion of the SSL following your instructions here, all seemed fine. However, once I viewed my site via the secured https protocol, all contents were blocked. Kindly advise what needs to be done. Do I need to remove the site and re-FTP the entire site? Most likely assets (images, css, etc) are still loaded via http instead of https on your site. If you are on WordPress, see this tutorial on how to properly move from http to https. Hi, it’s a great tutotrial. But does it work for a free account? Can a free account user change from http to https? I am Hostinger Brazil client, I are I followed every step. However, my fullchain.pem is always generating two certificates. And the key.pem file is only generating a private key. I try to put one of the two certificates with the unique private key, in the install part of the SSL certificate panel. But it is always generating error in any of the generated keys. My domain ends in xyz. does one turn off ssh after? also has anyone done this soley on an android. i shall attempt it, but think it is not able to be completed on android. alas monday will come tjen i can do it on windows. ps great guide, it has an easy to follow flow. What will happen if make a symlink?? remove the original file and make a symlink with letsencrypt. will it work?? You cannot create symlinks on shared hosting, unfortunately. Use cronjob to `cp -rf` updated certificate each time you renew it. Using acme-client. I installed the SLL certificate on my site and everything went well however when I access the link using HTTPS all web browsers issue an alert that the site is not secure. I looked at some Youtube videos for other hosts. They had Let’s Encrypt as a simple click option. Hostinger has many strengths – but I think you are behind on this one given SSL is so important you should make it easier to install. Make sure ALL resources are loaded via https. You will not get green padlock if images and scripts are loaded via http instead of https. I purchased premium pack shared hosting + SSL lifetime, but my website does not show HTTPS. What can I do for activate it ? Tell me please what the minimum PHP version should be installed in order to use this code? 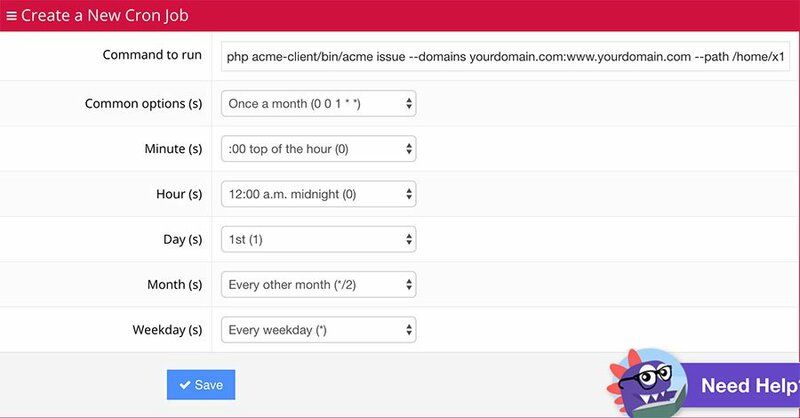 I try to renewd the certificate using this, “php acme-client/bin/acme issue –domains yourdomain.com:www.yourdomain.com –path /home/x123011738/public_html:/home/x123011738/public_html –server letsencrypt”, it shows the new expiry date, but in browser the date is not changed. Do I need to copy the Private Key and CRT everytime after renewal? “The certificate is not trusted in all web browsers.” how to fix this ? Do you still encounter this issue? I have visited your website and it loads properly via HTTPS using 3 different browsers (Safari, Chrome, Firefox). In case it happens on a different domain, I would recommend trying a different SSL installation method. You can do it using this free tool. Unfortunately, this tutorial is deprecated and we no longer support this method of installing let’s encrypt.